Pre-orders have started in India for the affordable and two-in-one device Surface Go of Microsoft's Surface Series. Flipkart can be pre-booked for Microsoft Surface Go. Surface Go is a 10-inch screen Windows 10 tablet that was launched in the US in July this year. Last month, an LTE variant of this tablet was launched in the international market, but only Wi-Fi variants have been made available in India. The Surfers Go's 4 GB RAM and 64 GB storage variant is priced at Rs 37,999. While the 8 GB RAM and 128 GB storage variants will be available in India for Rs 49,999. Pre-orders have been started on Flipkart for both variants and e-commerce company promises to deliver delivery till December 28. However, Microsoft has not provided any information about tablet availability right now. In addition, Microsoft Surfers Go has been listed as 'Release Date' on Flipkart on December 27. 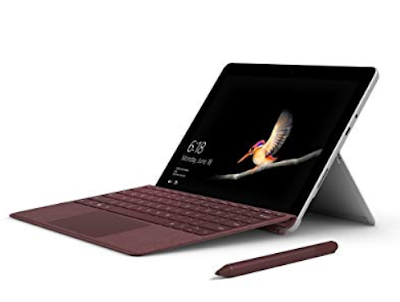 The Surface Go Type Cover keyboard will be available for Rs 8,699 and the second colored keyboard will be available for Rs 11,799. 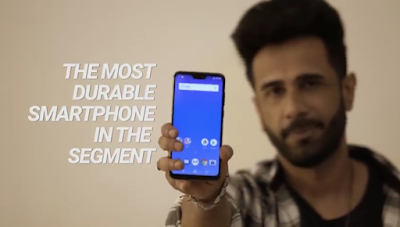 Under the launch offer, Flipkart offers a discount of Rs.200 on prepaid transactions, while Surfek is giving a discount of Rs 4,000 on the type cover. Apart from this, the annual subscription for the price of 799 rupees is also getting free. Additionally, additional offers are being offered on behalf of ACT fibernet, Kaya Services and Thomas Cook. Surface Go has a 10 inch display with a resolution of 1800x1200 pixels. In it there is Intel Pentium Gold Processor 4415Y of Seventh Generation. It has 4 GB RAM / 8GB RAM and 64 GB / 128GB inbuilt storage. It has a 5 megapixel HD camera and a rear autofocus 8 megapixel HD camera, which is equipped with dual microphones. Surface connect port is for charging and docking in Microsoft Surface Go. Apart from this, the MicroSD card reader has been provided to increase USB-C 3.1, headphone jack and storage for data, video and charging. The device weighs 522 grams. The company says that this tablet will get 9 hours of battery life. The tablet comes with Windows 10 S by default and can be upgraded to Windows 10 Pro.